Cruising for the first time? Here are some quick tips! You’ve finally made the decision to take your first cruise. Vacation time from your job is confirmed, passport is applied for, your budget is set, and the destination is picked. Excitement is in the air, but so is a little bit of confusion of how to go about arranging this dream cruise vacation. At CruiseExperts.com, we have all the first time cruise tips you need. Cruising is a fantastic experience, and you’ll appreciate the always free service CruiseExperts.com provides. Find out what to expect on a cruise and what type of clothing to pack. Click here to browse our last minute cruise deals. You’ll find plenty of cruise advice for first timers to get you started off on the right foot. 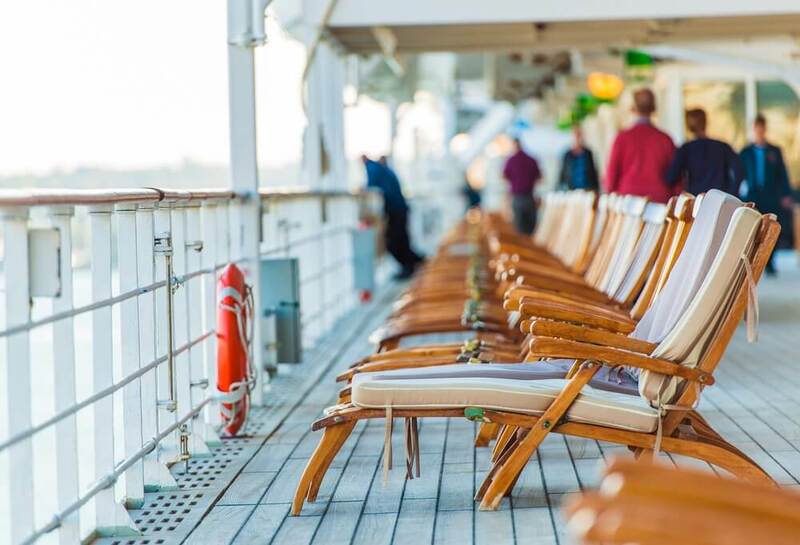 Check out the tips below, and don’t forget to call us today at 1.888.804.CRUISE (2784) so we can help you find and book the best cruise deals for 2019. Remember, our services are always free! You may need to purchase air transportation to your departure port if you aren’t within a comfortable driving distance. The safest option is to arrive the day before departure to avoid potential problems arising with flight delays. On return flights, the same advice applies in the event your ship is delayed clearing customs. We are happy to make your flight arrangements for you as well as any accommodation bookings you might need. There are certain items you want to pack in your carry-on bag as it may be a few hours before your luggage shows up in your stateroom. Luggage can also be lost or delayed by the airline, so it’s very important to have a carry-on with plenty of necessities packed inside and the important things you need every day. Passports and Visas – It’s your responsibility to obtain all your identification documents, and they must be presented before you are allowed to board. The documents needed include passport, drivers license or state ID, and your cruise ship documents. Without these you will not be allowed to board. Keep your documents in your carry for safe-keeping and easy access. Electronics – Valuables should never be packed in your checked baggage. Cell phones, laptops, tablets, cameras, and other valuables, including your wallet, should be kept with you in your carry-on. Medications – Prescriptions and over the counter medications belong in your carry-on along with personal products you might need, such as sun screen and protective lip balm. Be sure you bring enough prescription medicines to last for your trip plus a few days in the event you are delayed or choose to stay an extra day or two before or after your cruise. Clothing – Include a change of clothing, sunglasses, bathing suit (plastic zip lock bag), hat, and sandals or flip flops.